If you are dealing with a legal issue pertaining to family law, real estate, business law, or litigation that is keeping you up at night, keep in mind that you don’t have to take it on alone. 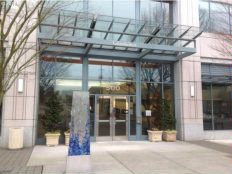 At John L. Davis PLLC, we know the toll unresolved legal disputes can take on Washington business owners and families. Our goal is to help our clients overcome their issues as quickly, effectively, and affordably as possible. By speaking with Mr. Davis, a former prosecutor and realtor, you can better understand the legal options for you and your family. Don’t delay — the sooner you get to work on dealing with your issue, the better your chances of getting the results you are looking for. Contact our Vancouver office today to schedule your free 10-minute initial consultation.